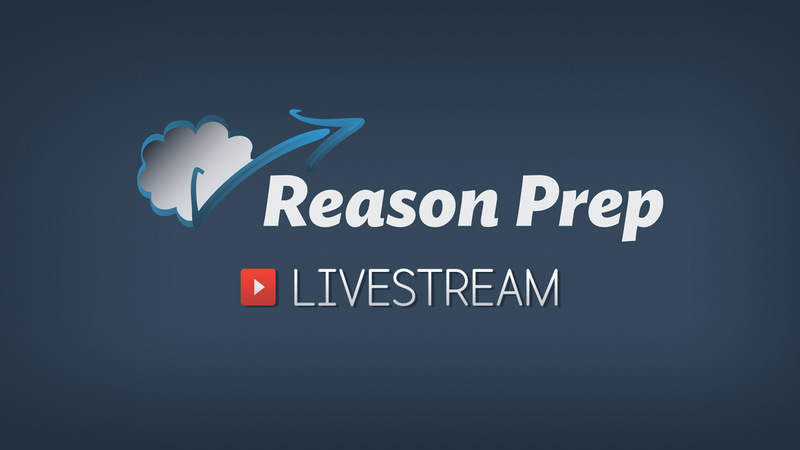 Reason Prep is home to a growing collection of guides, articles, worksheets, and other resources that will help you on your SAT & ACT journey. Here is a listing of the current categories of guides; click on category link to be taken to the listing of resources. 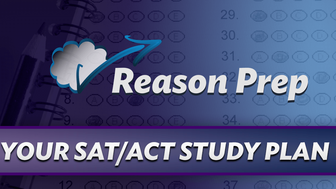 Just getting started on your SAT & ACT Prep quest and need a little guidance? These articles should help you pick a test and craft a study plan that works best for your goals and schedule. Is it Possible? Improving on the SAT and ACT – One of the most common questions I get is, “I have x months to study and want to increase by y points. Is it possible?” To answer this question, I’ll tell you the five critical ingredients – S. M. A. R. T. – that you’ll need to reach your goals. Should I Take the SAT or ACT? – Learn how to figure out which test to focus on in this article. The Ultimate SAT & ACT Study Plan – An in-depth guide and accompanying free course that show you how to design a customized, hand-crafted SAT & ACT study plan. Can’t Finish the Test in Time? – So many students struggle with time management on the SAT & ACT. But too much focus on “finishing” the test can actually hurt your score. These guides and articles discuss strategies that can be used on any test – the SAT, ACT, and more – and in school generally. 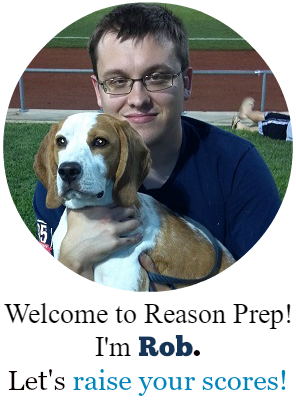 The Limits of SAT & ACT Tips – Everyone loves “tips and tricks,” and I’ll give you plenty to help you conquer the SAT and ACT. But tips have limits. You need to strive for something more powerful. How to Get Unstuck Between Two Choices – Ever get stuck between two choices and pick the wrong one? Here’s how to beat the test at it’s own game. The Ultimate Last Minute Tip – What should you do the night before your SAT or ACT? The answer may surprise you. 4 Bs in a Row?! – What should you do if you bubbled in three, four, or more of the same letter in a row on a multiple-choice test? Running Out of Time? – There are a lot of reasons you might run out of time on the SAT and ACT. Here’s one that you might not have thought about. What is Critical Reading? – Critical reading is a skill that must be developed over time, and it is not something that we do when we read everyday, even in school. Learn what Critical Reading is – and isn’t – in this article & video. Skimming vs. Close Reading – Skimming can be a useful tool when completing Reading tests, but you don’t want to overuse it – close reading will more reliably get you the correct answer on the New SAT Reading & ACT Reading tests. Paraphrase Power – SAT & ACT Reading – Looking to improve your reading comprehension? Use these exercises to practice quickly and accurately paraphrasing passages and answering questions. Summarizing – Practice how to quickly and accurately summarize a portion of a passage to answer a question. Two Big SAT & ACT Reading Mistakes – Learn how to correct the two big mistakes many students make when completing SAT and ACT Reading questions. How to Ace Boring Reading Passages – The SAT and ACT has their fair share of boring Reading passages. I’ll give you a strategy to help reduce boredom and keep your focus where it should be: getting questions right. How to Stop Zoning Out When Reading – Learn how to avoid losing focus when reading passages on the SAT and ACT. Biggest “Main Idea” Mistake – Watch out for this common error when doing main idea & primary purpose questions. One Powerful 800 Math & 36 Math Tip – Learn how you can “triangulate” your way to the right answer and maximize your chances of perfection. Resist Algebra – Even though many problems can be solved algebraically, there’s usually a better way to solve them. The Percent Trick – A useful tactic for solving percent change questions quickly & efficiently. Setting Up Equations: Don’t Double Count – The SAT & ACT will try to beat you with this sneaky trick. Learn how to stop them. Word Problem With Multiple Equations – Get familiar with this common question type for a +1! Hard Geometry & Possibility – Learn to survey your “math universe” to help narrow down options for tackling even the hardest geometry problem. Keep It Simple, Smarty – Don’t let the test makers intimidate you into overcomplicating questions. Look for the simplest solutions first. Graphing Word Problems – Three strategies for creating graphs of functions from word problems. Avoid Passive Voice – While the SAT & ACT won’t test the difference between active and passive voice directly, it does pay know how to recognize passive voice since it often produces wordy answer choices. Punctuation Problems – Having trouble with commas, semicolons, and colons? You might be missing a more fundamental problem. Commas and Your Breath? – A common rule-of-thumb is to place a comma in a sentence “when you take a breath.” This advice is breathtaking in its lack of rigor. Commas: The Two or None Rule – A handy rule to solve some of the commas questions you’ll see in ACT English and SAT Writing. Misplaced Modifiers – Learn how to identify and correct these sneaky errors on SAT Writing and ACT English. Starting Sentences With Because – Because the rule is taught so often, many students don’t realize that “starting with a sentence with because” is actually completely fine, as long as you steer clear of sentence fragments. Sentence Clarity – Make sure your choices are clear and don’t introduce any vagueness or ambiguity. These guides cover the best methods to increase your SAT scores and provide specific strategies and tactics to help you crush the test! How to Achieve from 1000 to 1600 on the SAT – Start here to learn what it will take to hit specific score milestones. The 1600 SAT Edge – Learn what it takes to maximize your chances of a perfect score and what makes perfection so difficult to obtain. How to Understand Hard SAT Reading Passages – Work through a difficult PSAT passage with me line-by-line to learn how to efficiently read and comprehend even the most difficult text. New Two-Part Reading Questions – Learn the best strategy for tackling this new question type. How to Get 800 on SAT Math – General strategies for acing the SAT Math section. Plugging In on SAT Math – This tried-and-true strategy makes a comeback on the New SAT Math test. Learn how to hit your ACT score goals and the best methods to improve on English, Math, Reading, Science, and the Essay. How to Improve Your ACT Scores – From 21 to 36 – Start here to learn what it takes to hit specific ACT composite score milestones. The 36 ACT Edge – Learn what it takes to maximize your chances of a perfect score and what makes perfection so difficult to obtain. ACT Question of the Day – Watch my video solutions to over 100 real ACT problems provided by the test makers. Changes to the ACT – The ACT has undergone some changes lately – read about them here. Solving for Inverse Functions – A quick review of solving for inverse functions. How to Skim – Skimming, or reading quickly while understanding the main idea and structure of the passage, is a critical skill for ACT Reading success. Learn how to do it in this article and video. Don’t Fear ACT Dual Passage Reading – The ACT recently introduced dual passages to their Reading test. Learn more about this change in this article and video; I really don’t think the dual passage is anything to worry about! Conflicting Viewpoints Passages – Work through some sample problems and learn some tips on how to solve these long Science passages. ACT Science and Outside Knowledge – The ACT Science doesn’t require you to know scientific facts, formulas, and concepts to answer most questions. But there are a few questions that will require you to know some basic facts, and this article covers density as an example. Variables & Controls – Learn how to identify the variables and controls in a scientific experiment. Frequently asked questions about various topics, including the SAT, ACT, SAT Subject Tests, study strategies, college admissions, and more! SAT & ACT Score Disappointment – Was your actual test score significantly worse than you practice test scores? Find out why, and what to do about it, here. How Many Times Can I Take the SAT/ACT? – Will colleges look down on you if you take the SAT or ACT too often? Easiest Test Date for SAT or ACT? – Is there an easiest or hardest test date to take these tests? What If I Run Out of SATs? – If you run out of official SAT practice tests, here are some suggestions on what to do next. What to Do When You Have No Clue – Completely stuck on a question? There’s hope if you use this strategy to get at least a good guess, if not get the question right! Identifying Redox Reactions – Learn how to identify a redox reaction with this step-by-step process. Use That Calculator! – Sometimes your trusty calculator can solve problems with brute force. Dividing Polynomials Shortcut – You should know how to do long division and synthetic division with polynomials, but sometimes a shortcut will save you the effort. Know Your Log Rules! – A review of the three most important log rules you’ll need to know for this test. Recursive Sequences – Learn how to turn these weird looking problems into +1’s. Test Your Functions – Use the multiple choice answers to your advantage on certain function notation questions. Just Pick C is a test prep show on Youtube, with new videos posted Tuesday and Friday. I cover strategies, tips, and tactics for the SAT, ACT, SAT Subject Tests, APs, College Admissions, and more. Go here for a full listing of episodes. If you’d like to watch the episodes directly on Youtube, click here for the playlist.